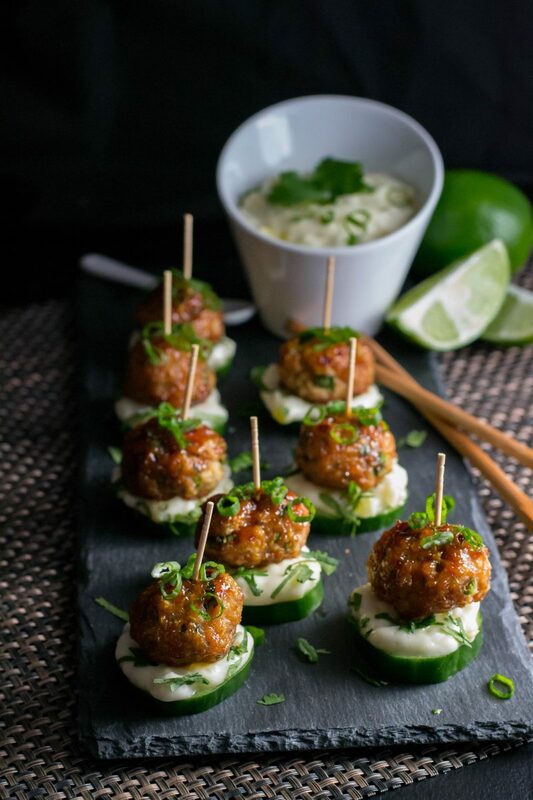 ground chicken Archives - What the Forks for Dinner? 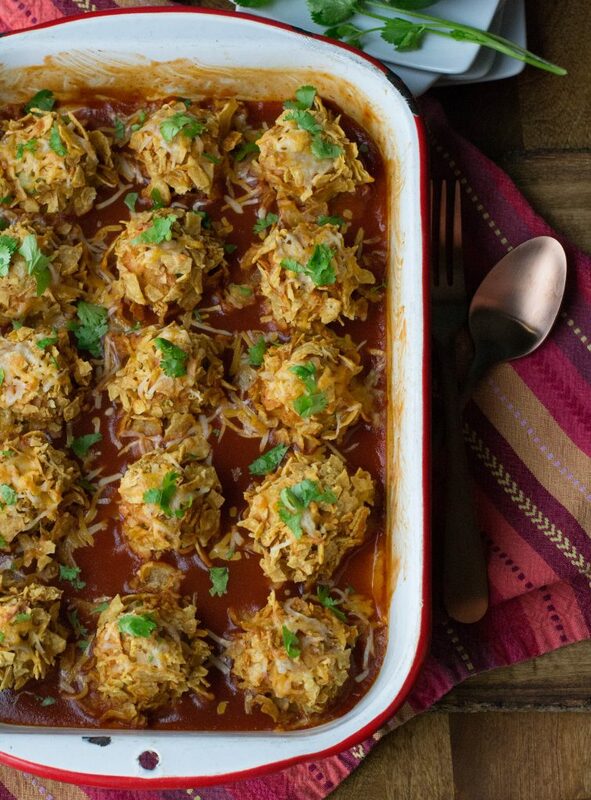 In the spirit of the upcoming Super Bowl, I present to you… Pacific Rim Chicken Meatballs. A new recipe has been a long time coming, and this one is worth the wait. It seems like forever since I have been in my kitchen or behind my camera. Let’s say that the Holiday season was not so jolly at our house. Sinus infection, stomach flu (Christmas Day), abscessed tooth, root canal. UGH!! 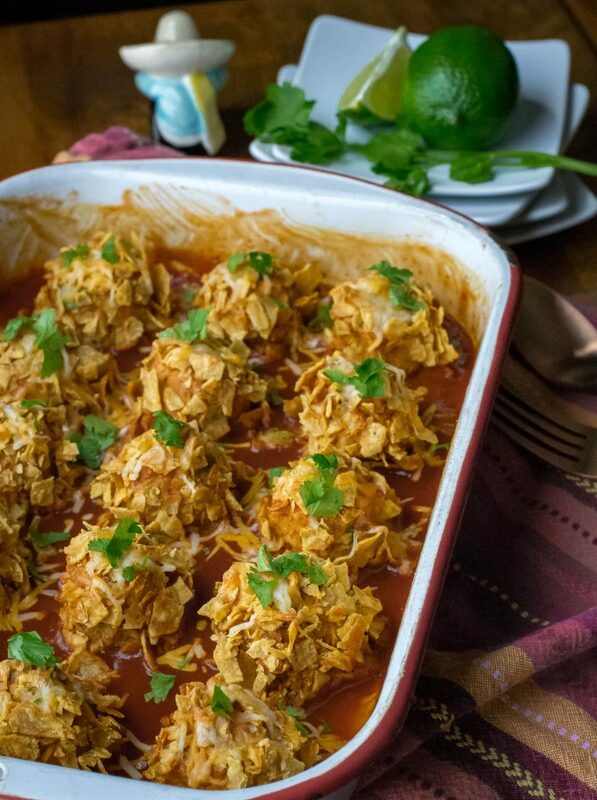 Crunchy Chicken Enchilada Meatballs ……Everything old is new again….again! Google has a new “thing” for food blogs that has to do with making sure your blog is recognized. This means I have had to go back through ALL of my recipes and make sure they comply with these new rules. I have been writing What the “Forks” for Dinner? for almost 5 years now……wow, it seems like just yesterday we came up with the idea we could do this. We have a lot of recipes!…. 456 to be exact…. not including this one! Looking back we realize how far we have come. We first posted this burger back in 2014. Apparently Spring was not anywhere to be seen in 2014 either…..after last nights snow…yes, I said snow and hopefully this is the last of it. Winter has stuck around wayyyy too long this year. Bacon Apple Chicken Burger was originally called Apple Bacon Chicken Burger, but I discovered it’s a no no to use the same post title twice?? Making this burger again was not a no no, it was a great idea! 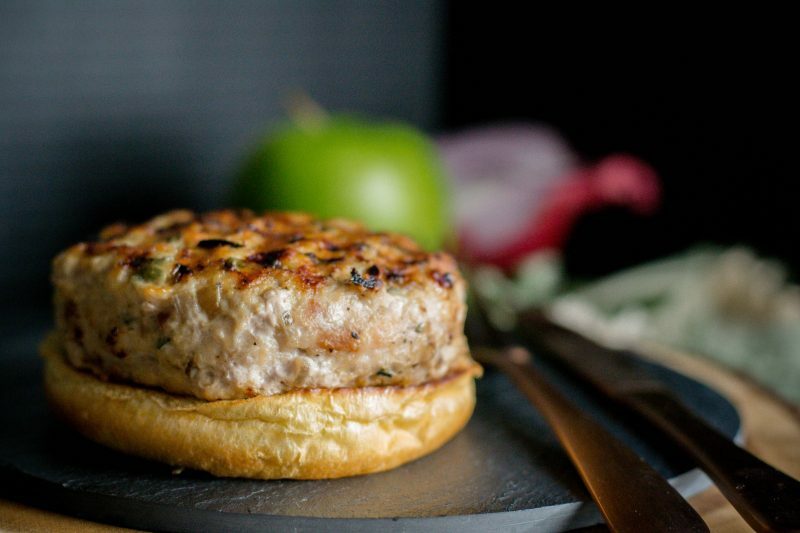 I said it a million…slight exaggeration …times, but I love ground chicken for a burger in place of turkey. For me, it has a better flavor, but if you are a lover of the turkey, please substitute it in this recipe. 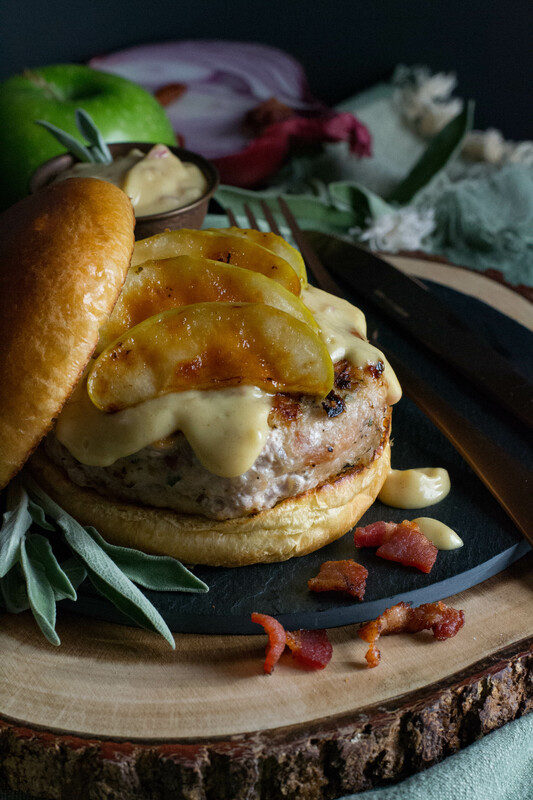 As anyone who has used ground chicken (or turkey) knows it can be a little dry, but in the case of this burger, the add-ins make it nice and juicy. One other tip, I know its poultry and you do need to cook it through, but do not over cook it. If you do, no matter what you have added, it will be dry. 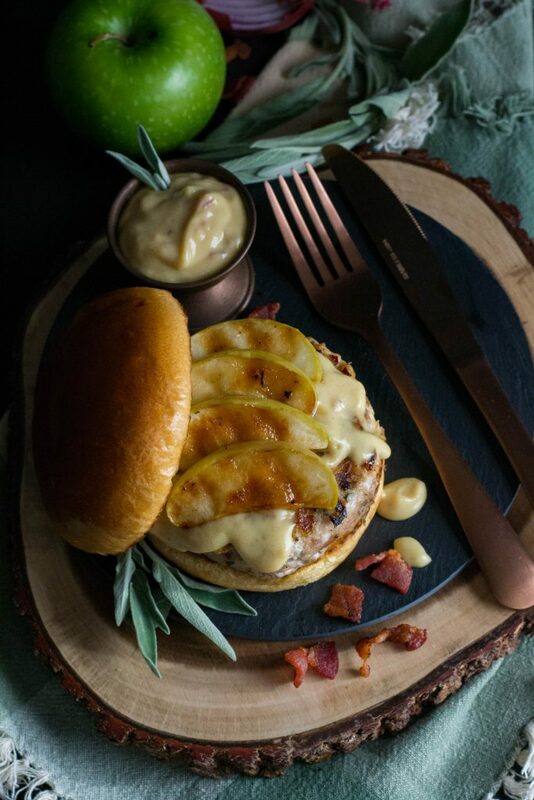 A little bit of bacon, onion, sage and maple syrup add a nice flavor to the burger and a topping of Maple Dijon sauce and grilled granny smith apples and wow!!! 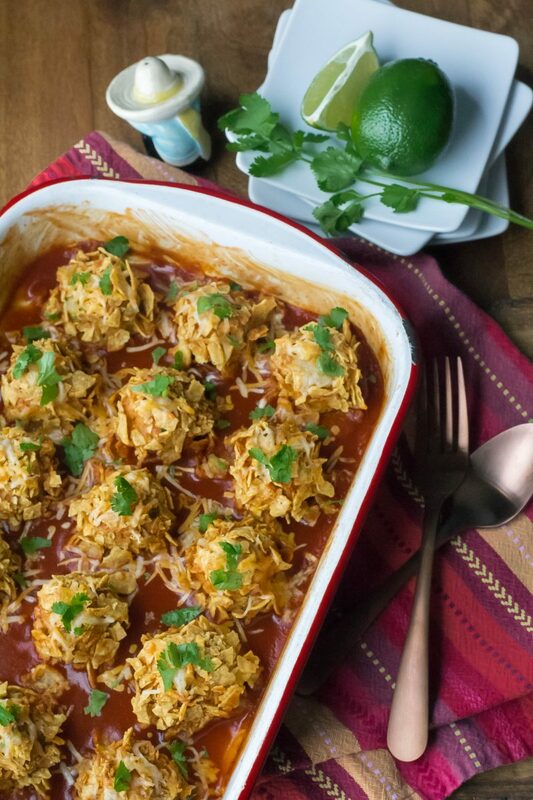 Since we revisted this recipe we decided to revisit the pictures too! Funny when you start a blog you think your pictures are really good, then later you look back and …YIKES!!! It’s an understatement to say we have improved. So, brush off the snow, drag out the grill and try Bacon Apple Chicken Burger. If the snow won’t stop where you are, cook them inside until summer shows up!! Dice bacon and cook in a small skillet until crisp. Remove from pan to drain on paper toweling. Add onions to bacon drippings and saute until lightly browned. Set aside and allow to cool slightly. Combine, ground chicken, bacon, onion, sage, 2 teaspoons of maple syrup, salt and pepper. Mix well and divide into 4 burgers. Place the burger on a grill pan or outdoor grill coated with non-stick cooking spray. Grill burgers 5 minutes on each side or until cooked through. Meanwhile, toss apple wedges with remaining 1 teaspoon of maple syrup. Grill the apple slices until you have nice grill marks. To assemble the burgers place burger on bottom half of bun. 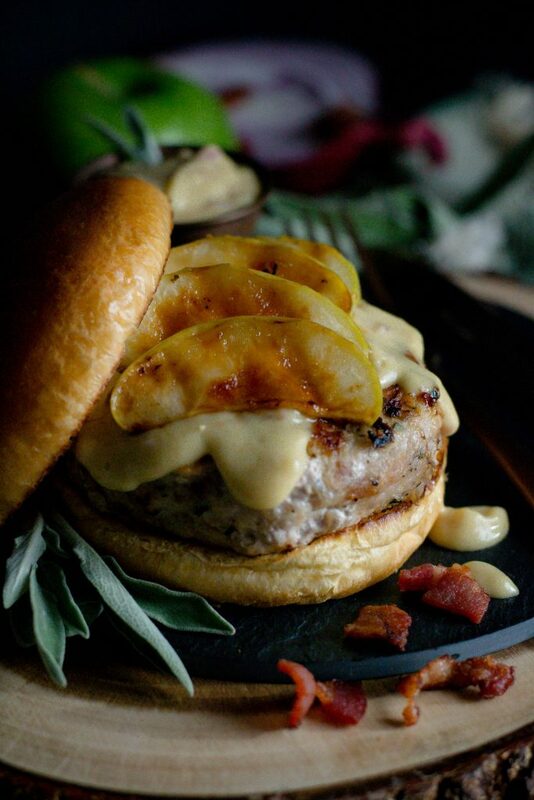 Top with Maple Dijon Sauce (see recipe below), top with grilled apples and top half of bun. Mix together 3 tablespoons mayo or salad dressing, 2 tablespoons dijon mustard, 2 tablespoons maple syrup, and 1 small shallot( about 3 teaspoons). 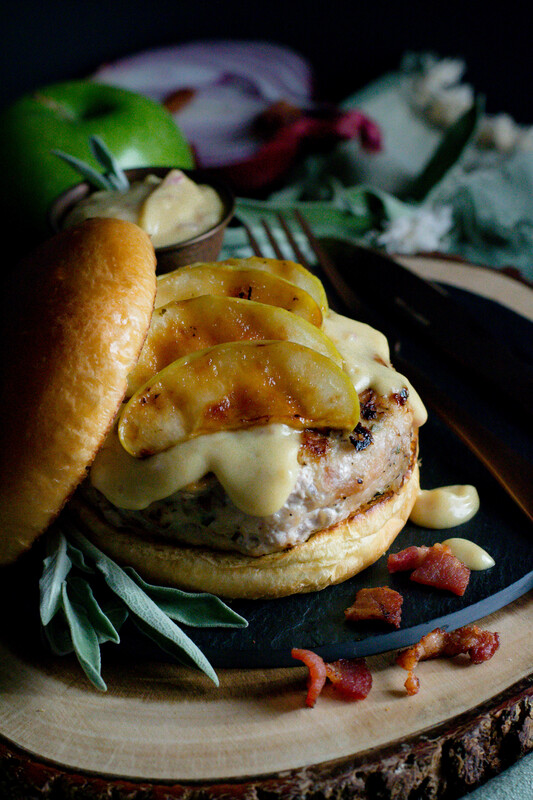 Serve with Apple Bacon Burger.